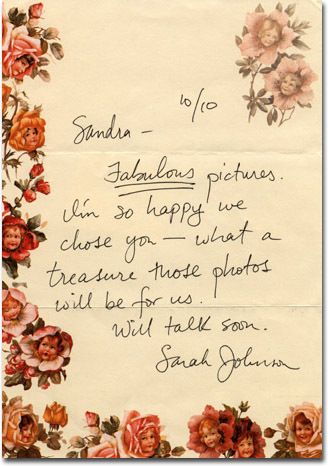 Sandra Joy Fisk provides personalized photography. Sandra was raised in a family of artists. 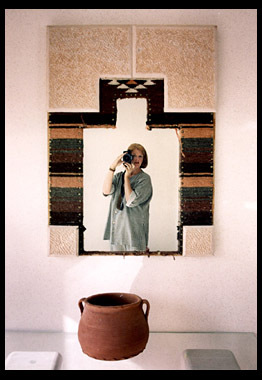 Her mother painted and so do her two sisters, but Sandra grew up as the family documentarian, using first the Instamatic and later the 35mm camera. She graduated with a BA in Broadcast Communications and finds she uses those skills throughout her life. Before becoming a professional wedding photographer, Sandra attended many weddings as the wife of a pastor. She began taking candid photographs at the weddings, and couples often told her that her pictures were better than those taken by the hired photographer. She realized that the photographer's role in a wedding is to be illustrator, photojournalist and portrait artist, while remaining discreet. "I allow events to unfold," says Sandra, "I don't dictate what is going on." Even so, her work records more than just a chronicle of the big day, capturing fun, excitement and romance. 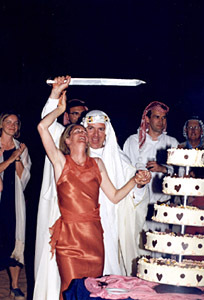 It moves "towards artthere just happens to be a bride and groom in it." Sandra began professional work in earnest in 1982. She is both self-taught and influenced by photographers Robert Holmes, Ruth Bernhard, Margaret Bourke-White and Imogen Cunningham. "I'm always studying art, and I enjoy visiting art museums," she says. She gravitates to the artistic side of photography, using her trained eye and intuitive timing to capture what one of her favorite photographers, Henri Cartier Bresson, called the "decisive moment." "It's exciting for me to capture the feelings, glances and beauty when someone steps into the scene and all at once, it takes on life. It's work I truly love." Sandra takes pride in creating a visual story starring the bride and groom, with a supporting cast of joyful loved ones. 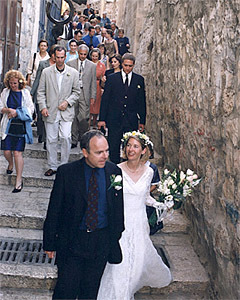 Before a wedding, she likes to get to know the personalities of the people involved and solicit the help of family and friends to learn the special things that make each wedding unique. This allows her to remain discreetly in the background, yet "pleasantly present" as she captures the most important moments, looking for "images that portray not just what people look like, but who they are." 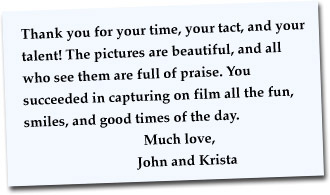 Now more than ever, wedding photographs are heirlooms to be passed down to future generations. "It's a moment in history for the family and I like to document it as artistically as I can," says Sandra. "History adds value and meaning. I want to capture all the details the bride and family spent so much time choosing," because after vows have been said and the food eaten, "it's gone." And because the couple's memories are the ones that truly matter, "I like to indulge the bride and groom in anything they want, funny or serious," she says. She's also a romantic at heart. "I like to see what people come up with [for their wedding] and how couples react together. The relationships are intriguing." Sandra's experience and qualifications are extensive. She's an active member of the Professional Wedding Photographers of America and the American Society of Media Photographers (ASMP). She is a principal photographer for Swedenborgian Church in San Francisco, capturing the beautiful architecture and garden of this 1867 Bernard Maybeck landmark. Her images have been published in magazines, newspapers, and in two books, Your Wedding Perfectly Planned and Personalized by Anthony DeMasi (Mallard Press, 1992) and Wonderful Wedding Songs by Carin Dewhirst (Friedman-Fairfax Publishers, 1994). Sandra has documented bicycle races in Colombia and Italy, sailboat races, car races, and runway fashion shows for clients such as Cartier, which taught her to be quick and incorporate backgrounds while composing photographs. 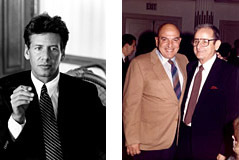 She has wide experience with portraiture, family celebrations, births and public events, photographing celebrities Bob Hope, Calvin Klein, Herb Caen, Oscar de la Renta, Morgan Fairchild, and musicians such as Buddy DeFranco and Clark Terry (for his CD with Swing Fever). As a volunteer for the Marin League of the San Francisco Symphony, she had fun photographing Michael Tilson Thomas and guest artists. 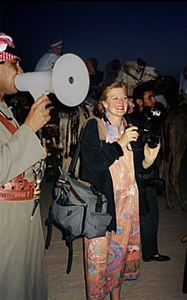 She has traveled extensively, taking pictures as she goes, and has even photographed weddings in Jordan and Jerusalem. After countless weddings, what keep Sandra enthusiastic? "I always try to make the pictures better, more artistic, more exciting, more alive. I try to steer away from posed pictures," Sandra says. 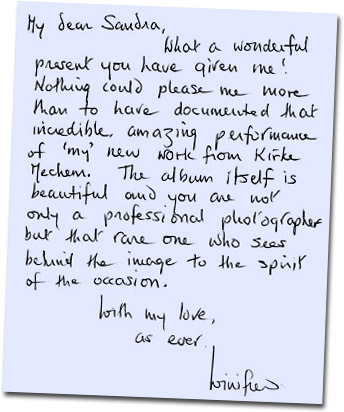 "I want people to look at their albums and relive their weddings, to recall that feeling of the first time, when they are so much in love." These are real letters and quotes that have been sent to Sandra.